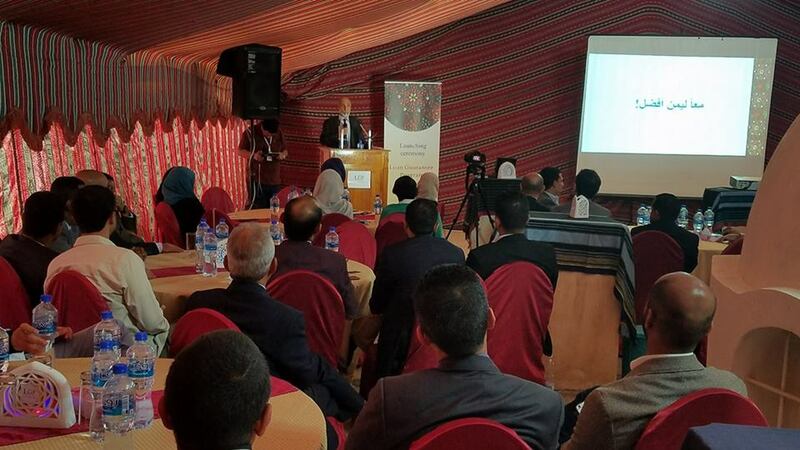 Sana’a - Under the slogan “together for a better Yemen!” the Social Fund for Development today proudly launched the first of its kind in Yemen, the Loan Guarantee Program- LGP. A program that facilitates financial accessibility for #SMEs through the provision of partial loan guarantees to those with insufficient collateral. The LGP managing director, Laila Anaam gave the guests a better understanding on the program’s mission and objectives for the industry. “It is LGP’s primary objective to enable the banking sector to provide their financial services to a larger number of micro and small enterprises resulting in continued resilience and growth of enterprises, create jobs, and support the recovery of economic activity in Yemen. This program is and will always target all Yemeni micro and small entrepreneurs no matter how challenging it will get.” stated Anaam. Since its establishment in the second half of 2017 and with the technical assistance of the #World_Bank and the #KFW, the #LGP developed adequate operational and organizational structure that enabled them to provide guarantee products and financial services to its #SME clients. Between Nov 2017 and Feb 2018, the LGP have managed to sign partnership agreements with 6 #microfinance institutions and Banks and issued over 56 guarantees to SMES. The LGP continues to develop its operations to cover the market demand and is welcoming technical assistance from donors to further assist in the program’s overall development. Abdullah Al-Dailami, the #SFD_Yemen Managing Director, highlighted the importance and urgency of establishing and funding such programs that participate in the overall economic and social development of the country. He declared the SFD’s commitment to continue to support the LGP and the microfinance industry as a whole, stating that this industry has, and will always play a significant role in job creation and thus economic #empowerment of #Yemen.